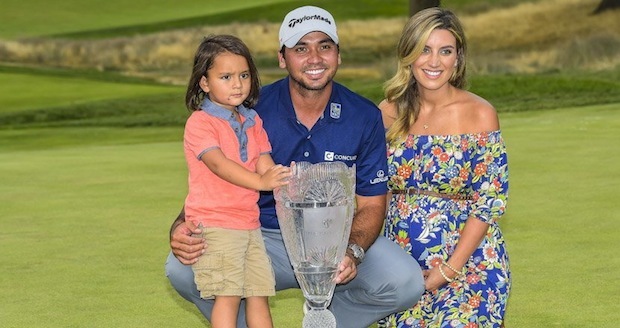 Jason Day’s claims victory at the Barclays with a dominant weekend performance. 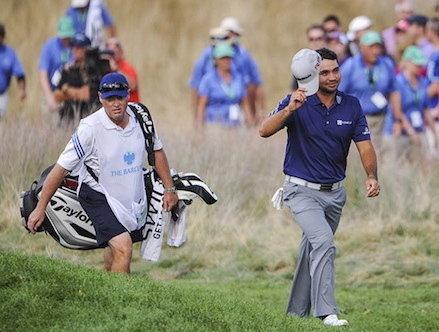 Jason Day blew away the field today with an incredible display of power and precision putting. After a slow start to the tournament Day went up a gear on the weekend and proved he has genuine claims as the best player in the world, at the moment. Fresh off his first major at the PGA Championship, Day pulled away early and poured it on with three long birdie putts on the back nine at Plainfield. A birdie on the closing hole gave him an 8-under 62 for a six-shot victory over Henrik Stenson. Day closed with a 63-62 weekend and finished at 19-under 261. He won two weeks ago by three shots over Jordan Spieth with a record to par at 20-under 268. The victory moves the 27-year-old Australian to the top of the FedEx Cup after the opening playoff event, assuring that Day will be among the top five who have a clear shot at the $10 million bonus at the Tour Championship. With his second straight victory, and fourth of the year, Day remains at No. 3 in the world but now enters the picture with Spieth and Rory McIlroy for golf supremacy. All three will have a mathematical chance to get to No. 1 at the Deutsche Bank Championship next week at the TPC Boston.